Whether buying a home, land, letting opportunity, or restoration investment, property auctions are a busy and exciting place to visit and William H Brown are here to make sure the experience goes as smoothly as possible by giving you all the help you need under one roof. 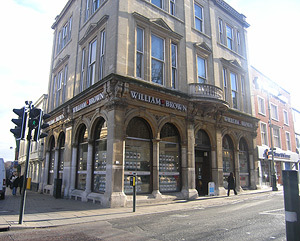 William H Brown is part of Sequence(UK) Limited one of the largest national networks of estate agents throughout the country. if you require professional help and advice on buying or selling at auction please contact our property auction office.